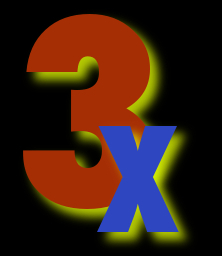 Club3X Online Personals – Free Limited Time Offer! Everyone loved using Craigslist Personals until they were taken offline! Club3X has setup our very own version of the Craigslist adult personals. For a limited time you can post for FREE! Once this special time period is over there will be a nominal charge for posting. This will help keep the fakes and flakes from abusing the service. Please spread the word! CLICK HERE TO GO TO THE CLUB3X ADULT PERSONALS!